In 2015, there were approximately 374,522 car accidents in Florida. Of those, approximately 243,396 people suffered bodily injuries. There is a good chance some of those wrecks occurred when a Floridian was commuting to or from their job. So is this accident covered by workers’ compensation? In Florida, it depends. Florida adheres to the “coming and going rule” when assessing whether workers’ compensation applies to an automobile collision. Basically, if an employee is away from the job premise and was not engaged in any work-related task, then they are not covered under their employer’s workers’ compensation policy. 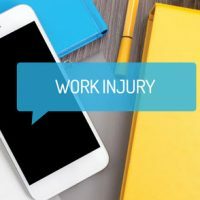 There are exceptions to this general rule where an employee can be covered by a workers’ compensation policy when they are away from the workplace. If the employee was traveling from Place A to Place B as part of their job and they are involved in a collision, their injuries may be in fact be covered under workers’ comp. For example, let’s say you have a meter reader who drives an employer-owned vehicle from business-to-business throughout the day. If they are involved in a wreck with another vehicle and the employee suffers a serious bodily injury like a broken bone, torn ligament, spinal cord damage, etc. they may be able to access workers’ compensation coverage because they were traveling within the scope of their employment. Similarly, if you work in a white collar profession (e.g. sales representative) and you must commute to visit with customers, perform inspections, etc. you may be covered for an injury suffered while traveling to these locations. If you are injured while commuting, you need to report the collision to your employer and request that an incident report be completed. Even if you are unsure that the accident will be covered, you should still take the steps necessary to get an incident report filed. The timing of the claim is important. Why? Because the sooner your injury is reported, the sooner eligibility can be determined by the workers’ compensation insurance carrier. In Florida, an employee has thirty days to file a report. Nevertheless, taking action soon after the accident is the recommended course of action. If your employer does not notify the workers’ compensation insurance company and it basically stonewalling the claim, then you have the right to notify the insurance carrier of what is going on. This is where hiring an experienced West Palm Beach workers’ compensation lawyer makes sense. If you live in or around West Palm Beach, now is the time to speak with the experienced workers’ compensation attorneys at Ganon & Hessen, P.A. Our team of attorneys possesses years of experience helping workers who were seriously injured on the job (including traveling from point A to point B for their job). Contact our office today to schedule a free, confidential case review.